When it comes to high-yielding CEFs, there are three warning signs that tell you a big crash is just around the corner, and each one was blaring before PGP’s drop. The good news is that you can use these “dividend red alerts” to sidestep dividend disasters like this in the future. Let’s dive into these warning signs now. 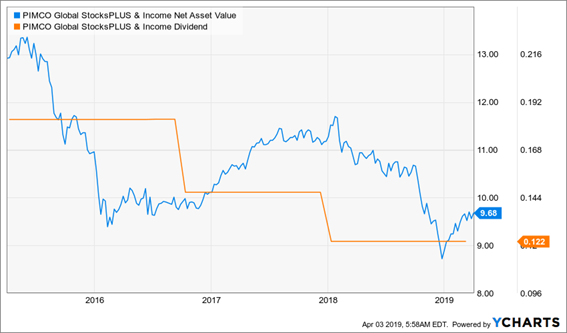 The first thing to look for in a CEF is simple: a big divergence between price returns and net asset value (NAV) returns, or the gains and dividends a fund is earning on its portfolio. This isn’t an indicator that a dividend cut will happen, but it does tell us that if one does roll around, the damage will be heavy. 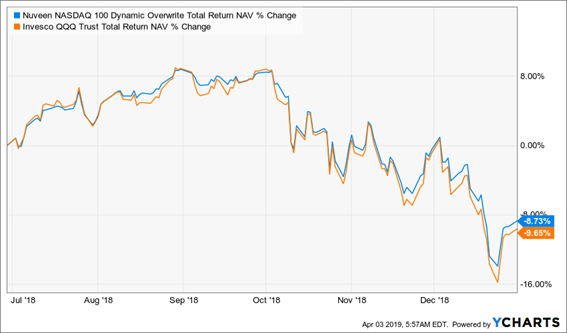 That’s because the further the fund’s market price climbs away from its median premium or discount to NAV, the further it has to fall back when the dividend cut comes. 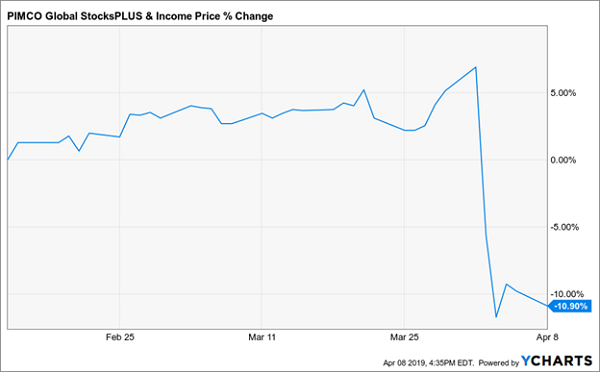 If PGP were trading below the 30% average premium it has seen in recent months, the chances of a double-digit overnight loss would be much lower. But as it was, a big loss was almost inevitable with investors pushing PGP’s market price way beyond its NAV. But how can you actually tell if a cut is coming to your CEF? Most people will just look at a fund’s net investment income (NII) and compare it to distributions—but the problem here is that many funds supplement NII with capital gains they pay out to investors, while other funds are designed to minimize how much of their payouts come from either gains or investment income in order to minimize investors’ tax burden (for more on this, click here). So we need to go one step further, bearing in mind the length of time since the last cut (if there’s been one in your fund’s history), the period between cuts and how the fund’s NAV return compares to its current yield. A cut in the long-term is unlikely, but if it is going to happen it’s likely to happen about 20 months from now (since the fund has cut roughly every three years before). Because the payout reductions are so infrequent, the price decline from any cut will likely be pretty big, so we need to stay vigilant on NAV returns, especially as the three-year time period comes nearer. However, for now, this would be a case where we could wait to worry about a cut for another day. 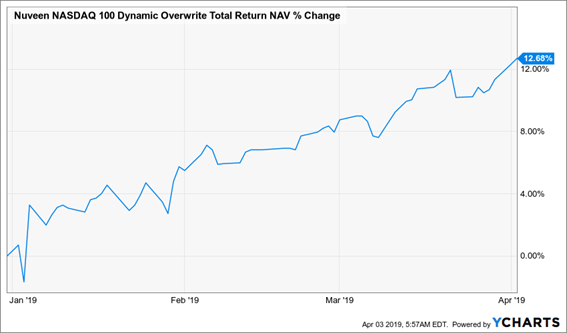 Closely related to the problem of price returns exceeding NAV returns is the problem of NAV decay. If a fund isn’t earning enough to cover its dividends, it will have to dip into its portfolio to keep up payments. Do this for long enough and the fund’s NAV will have to go to zero. This is a warning sign—and perhaps the most important one with CEFs: if NAV can’t at least stay in place, you can’t expect the fund’s payouts to hold up, either. Steering you away from the PGPs of the world and toward safe—and growing—7%+ payouts is exactly what I do in CEF Insider. And right now I’ll give you my very latest high-yield picks: I’m talking about a fully stocked portfolio of 18 CEFs yielding 7.4% on average (with two throwing off monster payouts above 10%!). Just click here to get instant insider access with no risk and no obligation. This portfolio is the beating heart of my CEF Insider service. 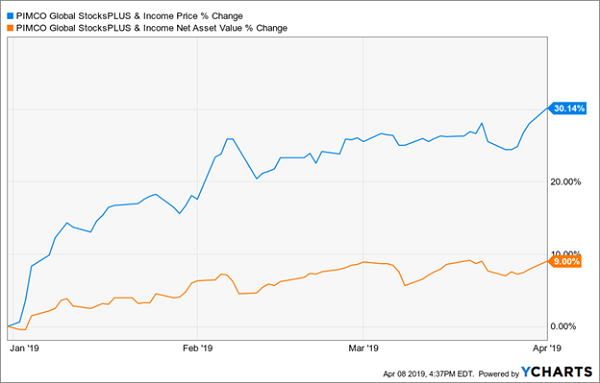 The buys you’ll find there are poised to hand you 7% to 15% price upside in the next 12 months, along with their outsized dividends, thanks to the incredible discounts they’re trading at now. There’s more: because I’ve distilled my 4 very best CEF buys now into an exclusive Special Report you’ll also get FREE. These incredible 7.5%+ yielders are the best of the best—the ones I see as absolute musts for every investor’s retirement portfolio. The entire wealth-building package is just a click away: Go right here to discover my 18-fund CEF Insider portfolio for yourself and get your Special Report revealing the 4 best high-yield CEFs to buy now.